EBay is a multinational e commerce website where you can buy all type of stuff and products but eBay is providing some opportunity to make money by selling products and some other ways, a lot of people are already working with eBay and making their living, in this article I will explains 3 steps easy process to make money on eBay. To sell products on eBay you just have to register on eBay seller where you have to submit your business details along with your identity proof after completing all those requirements you can sell products on eBay. As according to my experience eBay is a great website to sell products online and make money. EBay will provide a smooth experience of selling products online. 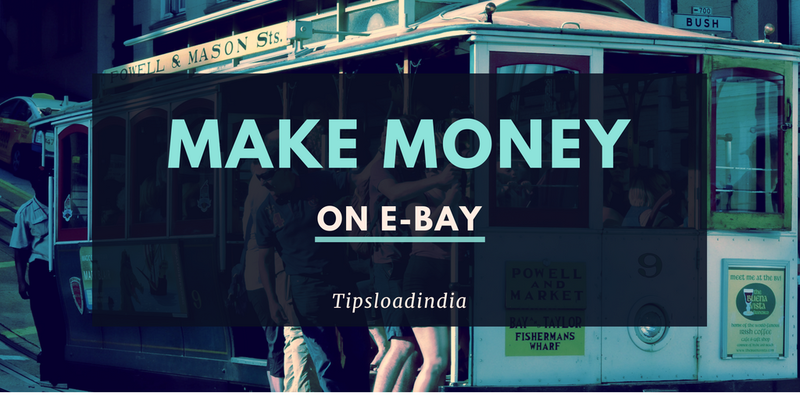 This is a simple way to make money online with eBay. EBay affiliates is a program run for Website owners who can make a lot of money by using eBay affiliate program. The eBay affiliate program is a great way to earn money, if you are a blogger or a website owner then you can easily make a lot of money with eBay affiliates, to make money from this way you have to place advertisements of eBay products on your website and when any visitor buy a product through your website, you will be rewarded with a fixed Commission on the basis of purchased item. To join the eBay affiliate visit ebay affiliate and then sign up using your gmail and fill up your website details and get started with eBay affiliates. EBay is a very popular eCommerce website with millions of products if you want to make money using eBay then refer and earn program is best for you through this program you can make unlimited money with eBay. To make money using different program you have to sign up on eBay. For each referral you will be rewarded with the amount of money which can be used on shopping with eBay or you can also withdraw your reward into your bank account. I am writing about my experience with eBay I have tried all those methods with eBay to make money on eBay but selling products on eBay is the best way to generate money, to make money on eBay I will suggest you to choose first option because this is fast and very effective for a new user, selling products on eBay is very beneficial for a person who have some antiques like old coins and handicrafts, eBay especially known for unique things and if you are sending such type of things on eBay than you can make money on eBay.